This article is about the U.S. family. For the English surname, see Lee (English surname). For the Singaporean family, see Lee Family (Singapore). For other uses, see Lee (disambiguation). Robert E. Lee, Henry Lee III, Richard Henry Lee, etc. The Lee family of the United States is a historically significant Virginia and Maryland political family, whose many prominent members are known for their accomplishments in politics and the military. The family became prominent in colonial British North America when Richard Lee I ("The Immigrant") immigrated to Virginia in 1639 and made his fortune in tobacco. Members of the family include Thomas Lee (1690–1750), a founder of the Ohio Company and a member of the Virginia House of Burgesses; Francis Lightfoot Lee (1734–1797) and Richard Henry Lee (1732–1794), signers of the American Declaration of Independence, with Richard Lee also serving as one of Virginia's inaugural U.S. Senators; Henry "Light-Horse Harry" Lee (1756–1818), Lieutenant Colonel in the Continental Army and Governor of Virginia; Thomas Sim Lee (1745–1819), Governor of Maryland and, most famous, General-in-Chief Robert E. Lee (1807–1870), commander of the Confederate States Army and its pivotal Army of Northern Virginia for the Confederate States of America in the American Civil War (1861-1865). Twelfth President Zachary Taylor (1784-1850, served 1849-1850), and ninth Chief Justice Edward Douglass White (1845-1921, served 1894-1921) were also descendants of Richard Lee I. Confederate President Jefferson Davis married Sarah Knox Taylor, daughter of Zachary Taylor. Most recently, family members have marked over two hundred years of political service in the United States, as Blair Lee III (1916-1985, served 1971-1979), a descendant of Richard Henry Lee, served as the second Lieutenant Governor of Maryland when the office was revived, from 1971–1979 and Acting Governor of Maryland from 1978–1979. Charles Carter Lee, a descendant of Henry Lee III and a Superior Court Judge in Los Angeles County, California was named the U.S. team's Chef de Mission by the United States Olympic Committee for the Beijing Olympics. Thomas Lee (1690–1750), Virginia colonist and cofounder of the Ohio Company. 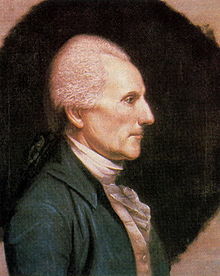 Richard Henry Lee, (1732–1794), was a signer of the United States Declaration of Independence and served as the president of the Continental Congress. Richard Lee asserted descent from the Lees of Shropshire and bore a coat of arms which was confirmed in 1660/1 by John Gibbon, Bluemantle Pursuivant of the College of Arms. In 1988, a study by William Thorndal was published in the National Genealogical Society Quarterly, proving that Richard Lee I was actually the son of John Lee, a clothier, and his wife Jane Hancock; that Richard had been born not at Coton Hall in Shropshire, but in Worcester (some distance down the River Severn); and that several of their immediate relatives had been apprenticed as vintners. The question, then, has been 'how did Richard Lee descend from the family with whom he shared a coat of arms?' The book Collections for the Ancestry of Colonel Richard Lee, Virginia Emigrant, by English genealogist Alan Nicholls presented evidence for the English ancestry of Colonel Richard Lee using contemporary documents, transcribing records left by Richard Lee, his family, and their associates. It also looks at the records left by the Shropshire and Worcester Lee families. These data and additional related findings demonstrate that Richard Lee's Marson ancestors, the wealthiest tradesmen and merchants in Worcester, were likely the cause of his grandfather and father's lives in Worcester. A great-uncle, Richard Lee, was probably the man of the same name, called 'Richard Lee, Gent' buried at Coton Hall's Alveley Parish in 1613. In the U.S., the family began when Richard Lee I emigrated to Virginia and made his fortune in tobacco. The Lees first gained wider significance with Thomas Lee (1690–1750). He became a member of the House of Burgesses and later went on to found the Ohio Company. Thomas Lee (1690–1750) married Hannah Harrison Ludwell: their children, like the descendants of Thomas Lee's brother Henry Lee I (1691–1747), included a number of prominent Revolutionary War and pre-Revolution political figures. Thomas and Hannah Lee's two eldest children were Philip Ludwell Lee (1726–1775) and Hannah Lee (1728–1782). Thomas Ludwell Lee (1730–1778) was a member of the Virginia Delegates and a major editor of George Mason's Virginia Declaration of Rights (1776), a precursor to the United States Declaration of Independence, which was signed by his brothers Richard Henry Lee (1732–1794) and Francis Lightfoot Lee (1734–1797). Richard Henry Lee was a delegate to Continental Congress from Virginia and president of that body, 1774, later serving as president of the Continental Congress under the Articles of Confederation, and United States Senator from Virginia (1789–1792) under the new United States Constitution. Younger siblings included Alice Lee (1736–1818), who married American Chief Physician William Shippen, Jr. and diplomats William Lee (b. 1739, d. 1795) and Arthur Lee (b. 1740, d. 1792). Henry Lee's grandson, Henry Lee III (1756–1818), known as "Light Horse Harry," was a Princeton graduate who served with great distinction under General George Washington in the American Revolutionary War, and was the only officer below the rank of General to receive the "Gold Medal," awarded for his leadership at the Battle of Paulus Hook in New Jersey, on 19 August 1779. He was Governor of Virginia from 1791–1794. Among his six children was Robert Edward Lee, later the famed Confederate general during the American Civil War. Henry Lee III's brothers were the noted Richard Bland Lee, a three-term U.S. Congressman from Virginia, and Charles Lee (1758–1815), Attorney General of the United States from 1795–1801. Thomas Sim Lee, a second cousin of Henry Lee III, was elected Governor of Maryland in 1779 and 1792 and declined a third term in 1798. He played an important part in the birth of Maryland as state and in the birth of the United States of America as a nation. A grandson of Thomas Sim Lee was John Lee Carroll, the 37th Governor of Maryland. Robert E. Lee (1807–1870), was the son of Henry Lee III, and probably the most famous member of the Lee family. 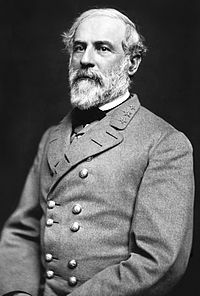 He served as Confederate general in the United States Civil War and later as President of Washington and Lee University, which was named for him and for George Washington. Washington and Lee University houses Lee Chapel, burial site of several members of the Lee family, as well as the Lee Family Digital Archive. He was married to Mary Anna Randolph Custis, who was a granddaughter of Martha Washington and also was Lee's third cousin once removed through Richard Lee II, fourth cousin through William Randolph, and third cousin through Robert Carter I. R. E. Lee's children included George Washington Custis Lee and William H. Fitzhugh Lee. Other Lee relations who were General Officers during the Civil War were Fitzhugh Lee (C.S.A. ), Samuel Phillips Lee (U.S. Navy); Richard Lucian Page (Confederate States and Navy); Edwin Gray Lee (C.S.A.) and Richard L. T. Beale (C.S.A.). Indirect relations of R.E.Lee who were Confederate general officers included William N. Pendleton and Virginia Military Institute graduate William H. F. Payne. Two other civil war generals who were related to Lee were George B. Crittenden (C.S.A.) and Thomas Leonidas Crittenden (U.S.) whose mother Sarah O. Lee was a great-great-granddaughter of Richard Lee I "the Founder". A son of Thomas L. Crittenden, John Jordan Crittenden III, died at the Battle of Little Bighorn in 1876. 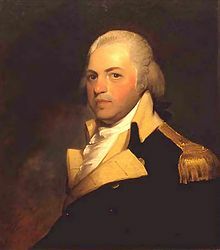 Another distant Lee relation was U.S. Admiral Willis A. Lee of Kentucky. Francis Preston Blair Lee (1857–1944), known as "Blair Lee," was a United States Senator from Maryland and a great-grandson of Richard Henry Lee. Rear Admiral Willis A. Lee, Jr., USN; circa 1942. Francis Preston Blair Lee (1857–1944) was a Democratic member of the United States Senate, representing the State of Maryland from 1914–1917. He was also the great-grandson of American patriot Richard Henry Lee, father of E. Brooke Lee comptroller of Maryland and "Father of Silver Spring" and grandfather of Blair Lee III, Lieutenant Governor of Maryland from 1971–1979 and Acting Governor of Maryland from 1977–1979. Judge Charles Carter Lee, a direct descendant of Henry Lee III (Lighthorse Harry), was selected to represent the United States at the 2008 Olympic Games as the United States Olympic Committee's Chef de Mission. Judge Lee, a Los Angeles County Superior Court Judge since 1989, was also involved with the 1984 Summer Olympics as he headed a delegation sent to China after the Soviet Union announced a plan to boycott the Olympics in Los Angeles. These talks concluded with China's formal agreement in writing to participate in the 1984 Olympics. Jacqueline Kennedy Onassis's mother was born Janet Lee and claimed to be part of the family. It was later proven that she was not. Thomas Lee (1690-1750), Governor of Virginia Colony 1749-1750. Father of Richard Henry Lee, Francis Lightfoot Lee, and Arthur Lee. Richard Henry Lee (1732-1794), Delegate to the Continental Congress from Virginia 1774, member of the Virginia Legislature 1777, U.S. Senator from Virginia 1789-1792. Son of Thomas Lee. Francis Lightfoot Lee II (1782-1850), ∞ Jane Digges Fitzgerald (1789-1816). Samuel Phillips Lee (1812-1897), ∞ Elizabeth Blair Lee (1818-1906). Blair Lee I (1857-1944), Maryland State Senator 1906-1912, candidate for Governor of Maryland 1911, U.S. Senator from Maryland 1914-1917, delegate to the Democratic National Convention 1916. Great-grandson of Richard Henry Lee. E. Brooke Lee, Comptroller of Maryland 1919-1923, Maryland Secretary of State 1923, delegate to the Democratic National Convention 1924 1940, Maryland House Delegate 1927, candidate for U.S. Representative from Maryland 1942. Son of Blair Lee. Blair Lee III (1916-1985), delegate to the Democratic National Convention 1948 1960 1964 1972, Maryland House Delegate 1955-1962, Maryland State Senator 1967-1969, Maryland Secretary of State 1969-1971, Lieutenant Governor of Maryland 1971-1979, Governor of Maryland 1977-1979. Son of E. Brooke Lee. E. Brooke Lee, Jr., delegate to the Democratic National Convention 1944. Son of E. Brooke Lee. Francis Lightfoot Lee (1734-1797), Delegate to the Continental Congress from Virginia 1775, Virginia State Senator 1778, member of the Virginia Legislature 1780. Son of Thomas Lee. Arthur Lee (1740-1792), member of the Virginia Legislature 1781, Delegate to the Continental Congress from Virginia 1782. Son of Thomas Lee. Zachary Taylor (1784-1850), President of the United States 1849-1850. Second cousin once removed of Richard Henry Lee. Sarah Knox Taylor (1814–1835), ∞ 1835 : Jefferson Davis (1808-1889), candidate for Mississippi State Representative 1843, U.S. Representative from Mississippi 1845-1846, U.S. Senator from Mississippi 1847-1851 1857-1861, candidate for Governor of Mississippi 1851, U.S. Secretary of War 1853-1857, President of the Confederate States 1861-1865. Son-in-law of Zachary Taylor. Victor Crist (1957-), Florida State Representative 1993–present. Descendant of Zachary Taylor. Edmund H. Taylor, Jr. (1830-1923), Mayor of Frankfort, Kentucky 1871-1877 1881-1890; Kentucky State Senator 1902-1904. Grandnephew of Zachary Taylor. Elliot Woolfolk Major (1864-1949), Missouri State Senator 1897-1901, Attorney General of Missouri 1909-1913, Governor of Missouri 1913-1917. First cousin thrice removed of Zachary Taylor and Second cousin thrice removed of James Madison. Edgar Bailey Woolfolk (1865-1956), member of the Missouri Legislature 1899-1901, Missouri State Court Judge 1913-1943. First cousin thrice removed of Zachary Taylor and Second cousin thrice removed of James Madison. U.S. Representative David Dreier also has stated that he is a distant relative of Richard Bland Lee. Zachary Taylor was also nephew by marriage of Maryland House Delegates Benjamin Mackall IV and Thomas Mackall. ^ Harrison Dwight Cavanagh, Colonial Chesapeake Families: British Origins and Descendants, Vol. 2 (Dallas, Tex. : p. p., 2014), 118-125, esp. 119. ^ Richard Bland Lee 5th (1930-2012), "[Lee Family Genealogical Research]" (2009-2013); folder: "Lee: Virginia," vertical files; R. Stanton Avery Special Collections, New England Historic Genealogical Society, Boston. ^ Bushong, Millard Kessler (1941). A History of Jefferson County, West Virginia, 1719–1940 pp. 231-232. ^ Rasmussen, Frederick N. (2011-08-13). "Mathilde B. "Mimi" Lee, former acting first lady of Maryland, dies at 91". Baltimore Sun. Archived from the original on 2 October 2012. Retrieved 2011-09-08. ^ "Richard Henry Lee". www.nndb.com. ^ "LEE, Blair - Biographical Information". bioguide.congress.gov. ^ Kestenbaum, Lawrence. "The Political Graveyard: Index to Politicians: Lee, E to F". politicalgraveyard.com. ^ Kestenbaum, Lawrence. "The Political Graveyard: Index to Politicians: Lee, A to B". politicalgraveyard.com. ^ Kestenbaum, Lawrence. "The Political Graveyard: Index to Politicians: Taylor, U to Z". politicalgraveyard.com. ^ "Victor D. Crist, Florida Senator". www.statesurge.com. ^ Kestenbaum, Lawrence. "The Political Graveyard: Index to Politicians: Taylor, E to F". politicalgraveyard.com. ^ Kestenbaum, Lawrence. "The Political Graveyard: Index to Politicians: Major to Majoras". politicalgraveyard.com. ^ a b "Family relationship of Zachary Taylor and James Madison via James Taylor Jr." famouskin.com. ^ Kestenbaum, Lawrence. "The Political Graveyard: Index to Politicians: Woody to Worthing". politicalgraveyard.com. ^ Kestenbaum, Lawrence. "The Political Graveyard: Index to Politicians: Mackaig to Mackay". politicalgraveyard.com. Nagel, Paul C., The Lees of Virginia: Seven Generations of an American Family, Oxford University Press, reprinted 1992, ISBN 0-19-507478-5. This page was last edited on 31 March 2019, at 01:37 (UTC).